Frequently Asked Questions about custom labels, personalized stickers, photo coasters and hang tags. Your personalized labels will come on 8-1/2 x 11 inch pre-cut, self-adhesive sheets. To apply, simply peel the labels off the sheet and press them onto your container. Labels are printed on white paper with a coated matte finish for a rich satin feel. We use waterproof inks printed with state of the art, high-resolution digital 4-color presses to capture fine detail and vibrant color. Each sheet will have from 8 to 48 labels, depending upon the size of the individual labels. Prices are determined by the style, size and quantity ordered. Personalized envelope seal labels are available in a variety of wedding and holiday styles. They are offered in an assortment of shapes including round, oval, scallop and heart. Prices vary depending upon the style, size and quantity. Our Cigar Band Labels are printed on special stock. Although the Cigar Bands will have a full adhesive backing this special stock is manufactured with a non-permanent and removable adhesive. This material is different from our stock permanent adhesive label material used for all other labels. Our address labels are printed on self-adhesive stock. They come pre-cut on 8-1/2 inch x 11 inch sheets. To apply, simply peel the address label off the sheet and press it onto your envelope. Beautifully personalized CD and DVD labels are sold in sets of 10 labels. They are pre-cut, self-adhesive and very easy to apply. Just peel the individual labels off the sheet and apply to your CD or DVD. For best results, burn your CD or DVD before adhering the label. Labels are printed on white paper with a coated matte finish for a rich satin feel. We use waterproof inks printed with state of the art, high-resolution digital 4-color presses to capture fine detail and vibrant color. Q. What can I apply my labels to? A.You can use your labels to personalize bottles, jars, boxes, bags and many more items. Your labels will stick to metal, glass, plastic, wood, paper, wax, and fabric. Our labels come with a permanent adhesive that bonds to most common surfaces, Once applied it can not be reapplied. If you need to remove a label after it has been applied just soak it in hot, soapy water, or use a hair dryer to soften the adhesive. Once a label has been removed, it cannot be reused. Q. How do I apply the labels? A. In order to ensure the best possible adhesion, you should apply labels to a clean, oil-free, surface that is room temperature. If your container is cold for instance, the condensation may prevent labels from properly adhering. Dirt and oil can also prevent your labels from sticking to your items. Q. Will my labels stay on? A. The longer the label has been on your item, the stronger the adhesive bond becomes. If you plan to have beer or wine bottles rest in a tub of ice, we suggest applying your labels a week or more before your event, since newly applied labels may lift off slightly when held underwater for a long period. The labels are not designed to go through the dishwasher, or have prolonged exposure to water. If labeled containers are stored in a refrigerator, some wrinkling may also occur. Q. How should I apply the labels so they look straight? A. Set the item down on its side on a flat surface so you can look down at it. Peel the label off the carrier sheet. Hold the label at the top center and the bottom center edges, visually line it into position above the container, then carefully press onto the surface at those points. Rub it down carefully from the center out to the edges. Q. What is the best way to remove commercial labels from beer or wine bottles so that I can replace them with my own personalized labels? A. Most labels use a water-soluble adhesive. Soak the bottles in warm soapy water. You may need to soak overnight to get the label off completely. Q. Which surfaces can I adhere my labels to? A. Your high quality labels will stick to glass, metal, plastic, wood, wax, cellophane, fabric, and paper. Use them to add your personal touch to bottles, jars, tins, bags, boxes and more. If you need to remove them after they have been on a while, soak them overnight in hot, soapy water, or heat them with a hair dryer to soften the adhesive. With either of these methods you will not be able to re-use the labels. Q. Are my labels waterproof? A. They are water resistant. When wet, the paper remains strong and the inks do not run. If you plan to have beer or wine bottles rest in a tub of ice, we suggest applying your labels a week or more before your event, since newly applied labels may lift off slightly when held underwater for a long period. The longer the label has been on your item, the stronger the adhesive bond will become. The labels are not designed to go through the dishwasher, or have prolonged exposure to water. If labeled containers are stored in a refrigerator, some wrinkling may also occur. Q. What will my tags look like? A. Your custom designed hang tags and favor tags will be expertly printed on white polyester stock with a smooth finish for greater detail, more vibrant color, and a luxuriant feel. We use state of the art 4 color high-resolution presses, and print with waterproof inks for a smudge proof finish. Your tags will be individually cut and ready for you to punch out. Each sheet contains 8 to 36 tags, depending on the tag size and shape. Each tag comes with a 5/32-inch pre-punched hole. Tags come with a white back, and do not fold. Q. How much can I print on my tags? A. There is no limit to the amount of text that we can print on your tags, but keep in mind that a lot of text on a small tag may be difficult to read. You may also want to consider the tag size and shape when choosing the artwork that you decide to print. A. 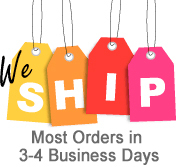 When placing an order please email us at order@labelsonthefly.com with the following information or call (877) 360-5634. Choose the design that you would like to customize. We offer a variety of colors for all designs. Upon ordering please indicate if you would like to change colors. If you are interested in a different shape than shown, please contact us. Other shapes are available in certain designs. All text areas are customizable. Please provide us with the text that you would like to have printed. Note: Font styles and text positions are not editable. If you choose a design that includes a photograph area please email us an attachment with your image. We accept the following file formats: .jpeg, .eps, .psd, .tiff, .pdf. For best image quality please be sure that the image is at least 300 dpi to size. If you have any questions feel free to contact us. A. Our coasters are printed on a water resistant coated stock, applied to absorbent blotter paper. Although the surface is water resistant, they are not waterproof. They work well for special events and everyday home or office use. if you intend to use them in a bar or restaurant we recommend testing them in your specific environment first. We will be happy to send samples for you to do so. If you need any further assistance, we will be happy to help you out. Please call 877-360-5634.